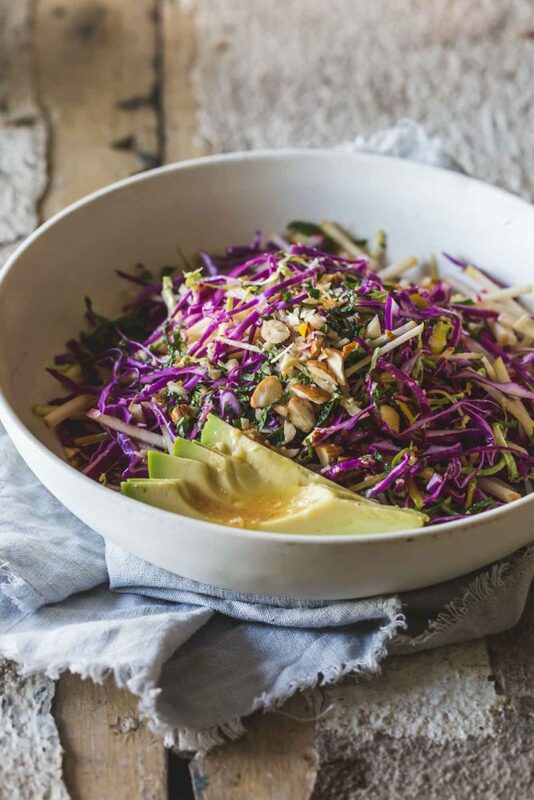 When your body needs a boost, this detox salad with orange miso dressing is nutritious and loaded with digestive supporting ingredients. Best of all, it’s delicious and so easy to pull together. Ever wondered what a human shag on a rock might look like? I’ll send you a photo. Boy, have the last couple of weeks knocked me around. I have pretty good energy levels, I run most days and generally don’t need too much sleep to refuel. Recently though, I have felt less like Wonder Woman and more like the limp lasso hanging from her belt. At the risk of sounding like a wah-wah, I am feeling run down. Perhaps it’s the aftermath of finishing my book or chasing a 4 year-old around or perhaps it’s the cold that won’t shift, who knows? What I do know is it’s annoying as hell. Feeling flat when you don’t have time to be flat is a flat-out pain in the arse. Now to be honest, I don’t detox. 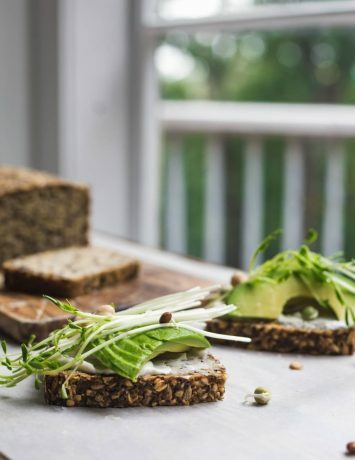 I am not one for cutting out foods – besides the obvious (hello! 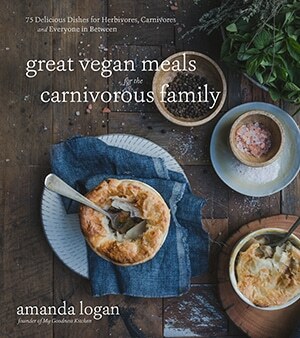 vegan food blog) – but I do think adding some cleansing foods to the weekly rotation is a good way for us less motivated types to jump on the detox wagon without picking up the reigns. Like any room in the house, our bodies can always benefit from a spring clean. 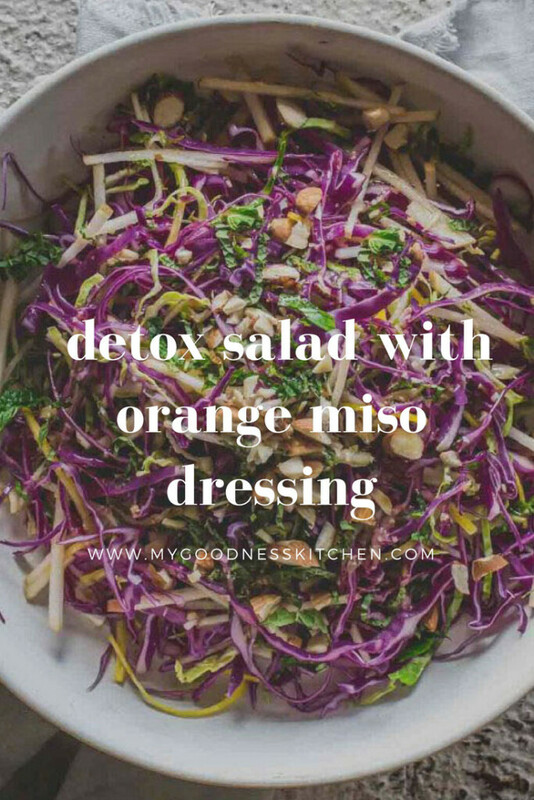 This detox salad with orange miso dressing is full of wonderful raw ingredients known to support the digestive process and tasty enough to eat for days. So, what makes a salad a detox salad? Filling your salad with nutritious ingredients that support your body’s natural detoxification process is the cornerstone of a detox salad. While you can literally play with your food to create your own detox blend, the following ingredients from my salad are easily sourced and delicious. Orange | with vitamin C, fibre and antioxidants, oranges are naturally good for you. 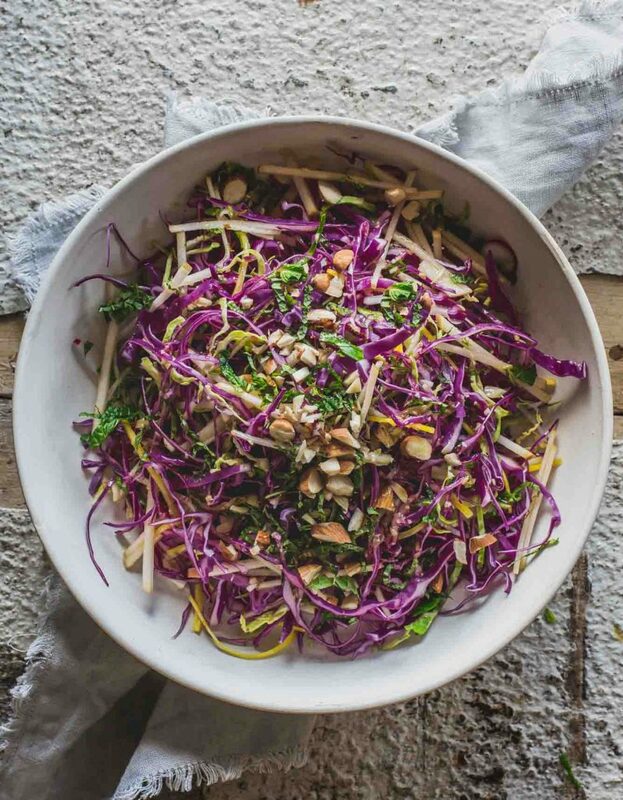 While this detox salad is perfect to clean the pipes, so to speak, the combination of crunchy cabbage, carrot, sprouts radish and almonds balanced by creamy avocado and sweet apple make it a kick-arse tasty salad . Add my slightly sweet, slightly salty orange and miso dressing and I think this bowl will be on our rotation for a good long while. If this is detoxing then maybe I should pick up the reigns. Enjoy. If you try this dish, please let me know! Or if you have your own detox secrets, share them here. Leave a comment, rate it, and don’t forget to tag a photo #mygoodnesskitchen on Instagram. I’d love to see what you come up with. I hope you love this dish as much as I do ! Cheers, friends. 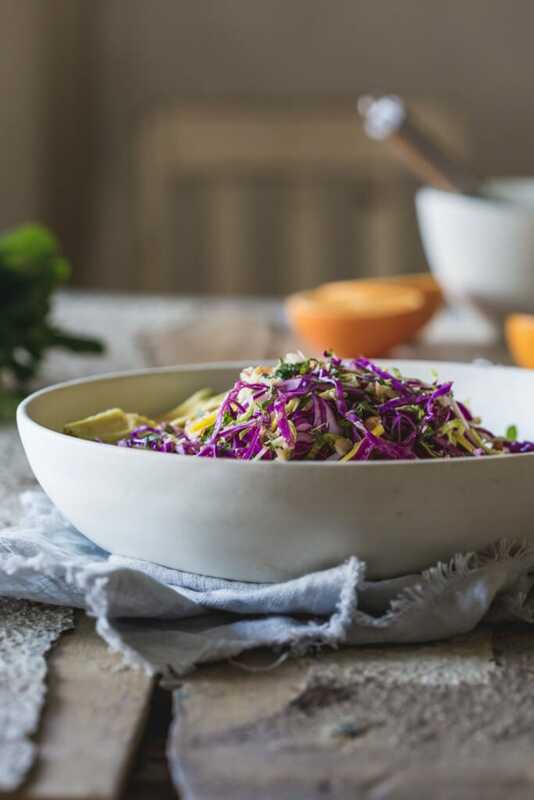 When your body needs a boost, this delicious detox salad with orange miso dressing is not only nourishing but completely yum. Add the red cabbage, Brussel sprouts, radish, carrot, apple and mint to a large mixing bowl. In a small bowl whisk together the orange juice, miso and garlic before adding the sunflower oil in a steady stream, still whisking. Add around a quarter of the dressing to the salad mixture and toss through. To serve, add the dressed mixture to a serving bowl and top with the chopped almonds and sliced avocado. Drizzle a little more dressing to salad - to taste - and season with sea salt.